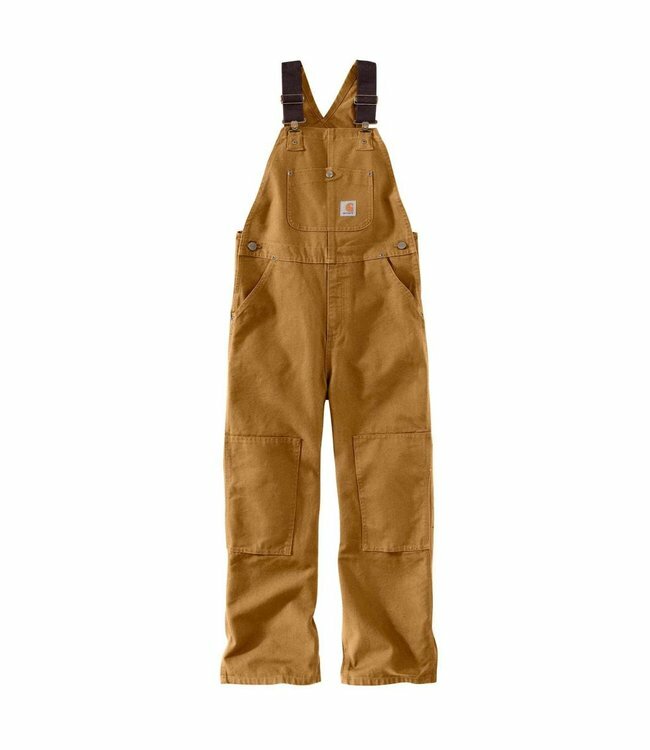 The first bib overalls Carhartt ever created were designed to keep railroad workers comfortable on the job. These kids' bibs honor the original look. Made of durable cotton duck with a broken-in feel, they're reinforced with a double layer at the knees to keep up with afternoons spent climbing trees and sitting in the grass.